The other day I looked at my calendar and noticed there are only three more months until Christmas. And I still have yet to buy presents... I always end up waiting until the last minute to buy presents. But this year I have begun to shop early. Christmas is not going to sneak up on me again this year. I dislike shopping with the sole intent that everything I purchase is for other people. I am the horrible kind of person that always finds something she likes when shopping for other people. Sometimes I end up leaving the store with two piles of purchases. One for the person(s) I went shopping for and one for myself. When shopping online I seem to have better control. So this year I am planning to do my present shopping online. While searching online for Christmas gift ideas I came across a neat little webshop called The Handpicked Collection. There are a few gifts I would love to get my family members from there and of course a few items I would like for myself. I was looking to update my kitchen from the plain, normal kitchen utensils, flatware, pots, and dishes I currently have. I do not know why it has taken me so long to lolify my kitchen, but I need to. The Handpicked Collection has adorable kitchen gift ideas. 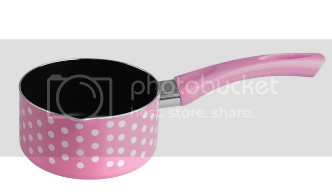 A few of the items I am interested in are the polka dot pots. I wish they came in blue, but pink is cute. 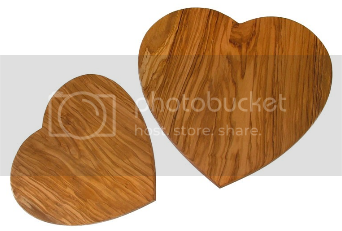 There are also heart shaped cutting boards. The boards come in two different sizes. These will match the heart shaped measuring spoons I recently bought. 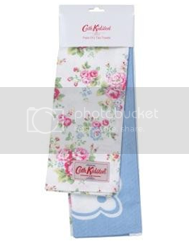 There are also cute towels featured on The Handpicked Collection which I would like. However, I promise to buy everything later and focus only on buying gifts for others at the moment. I wish my local stores had cute kitchen items too. 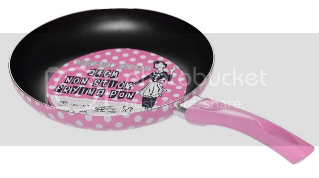 That pot and pan are really cute. I tried getting cute kitchen ware once but they got all banged up. It was so heartbreaking. April: I would be too. My fiance and I tend to take good care of our cooking ware. I know they will eventually get scratched, but the pots will last a while.